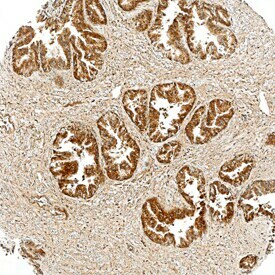 Tensin 4, also known as CTEN, is a 90 kDa cytoplasmic protein that is associated with focal adhesions in epithelial cells and is upregulated in several carcinomas. It promotes tumorigenesis by disrupting the attachment of focal adhesions to the cytoskeleton, promoting epithelial-mesenchymal transition, and binding nuclear beta-Catenin. 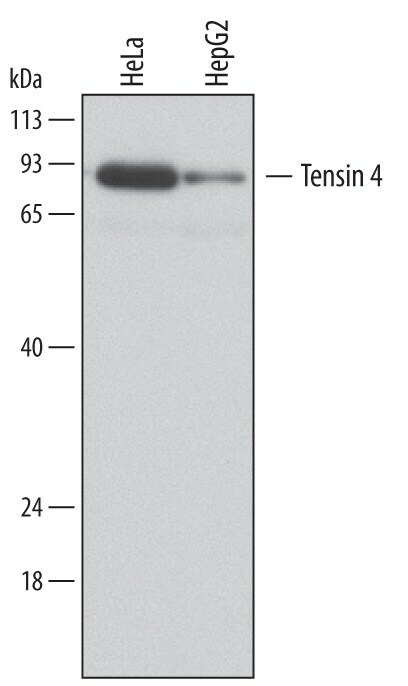 Tensin 4 is cleaved by Caspase-3 at Asp570-Ser571 during apoptosis. 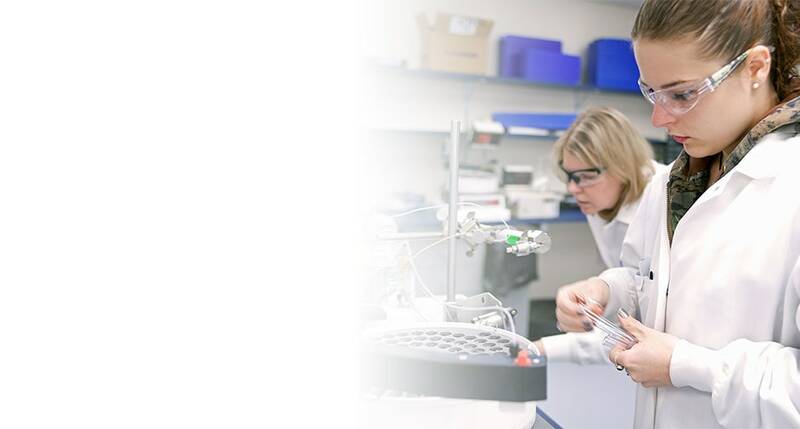 It contains a serine-rich region (aa 168-324), one SH2 domain (aa 449-556), and a phosphatase domain (aa 548-714). 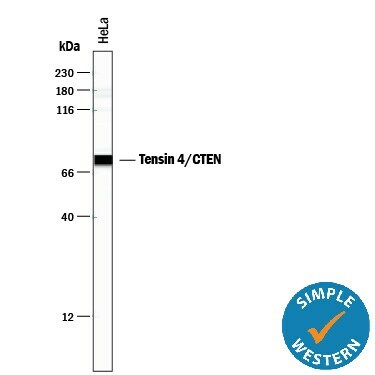 "Tensin 4/CTEN" has 1 results in Products.